A bowl of very nutritive, rich and full of flavored Punjabi dal fry/lentil curry along with some steamed rice is considered as the comfort food for lunch among every Indian. This simple vegan lentil recipes is the one which i love to cook and make this often for my lunch meal whenever i feel lazy. Dal tadka recipe is almost similar to dal fry recipe except with few variations. 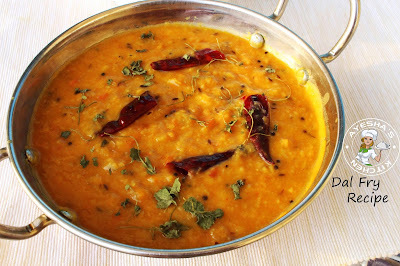 Dal fry is a spicy Punjabi dish made from mixed dals like toor dal, masoor dal, chana dal, moong dal or can also make with masoor dal and toor dal. 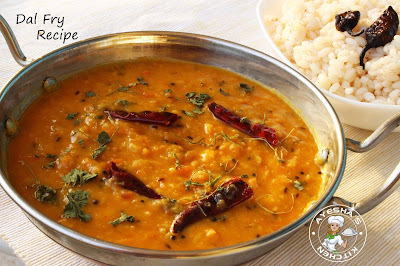 This Indian dhal recipe pairs best with jeera rice or steamed rice. So let's learn how to make dal fry recipe which is the most popular recipe in Punjabi restaurant. The cuisine of punjab makes Punjab different from other states in Indian. Punjabi dishes / punjabi recipes are more like punjabis. Their dishes will be rich, robust and full of flavors which makes this cuisine very popular in North India. So let's see how to make this spicy dal fry recipe. Here is the recipe showing how to make lentil dishes/ lentil meals / punjabi dal fry/ Toor dal/tur dal recipes / mixed dal recipes/lentil recipes healthy. Do try and drop your valuable feedback in below comment box. Thank u.
Wash toor dal (pigeon pea dal) and masoor da (orange or red split lentils) well. Add them in pressure cooker along with 2 cups of water and a pinch of turmeric powder if required. Do not add salt now. Pressure cook it for 5 whistles over a medium flame until they are cooked very well. When done, mash it well. If there is water still, take it in a separate bowl for adding later. Now heat a pan with 2 tbsp of oil or ghee or unsalted butter. Add mustard seeds and once it starts cracking add cumin seeds. Saute for a minute. To this, add finely chopped onion and saute it until soft and translucent. When done, add green chilies, red chilies, turmeric powder, hing, chili powder and saute well. Now add the chopped tomato, ginger garlic paste and cook it until tomato becomes mushy or until oil floats on the top. When done, add the cooked dal mixture to it and combine well. Now u can add half a cup of leftover dal cooked water or half a cup of water to it. Adjust the consistency by adding more or less water. Now you can add salt.Less salt is preferred. Simmer it for 5 minutes over a medium flame. Garnish with kasuri meti / chopped coriander leaves. 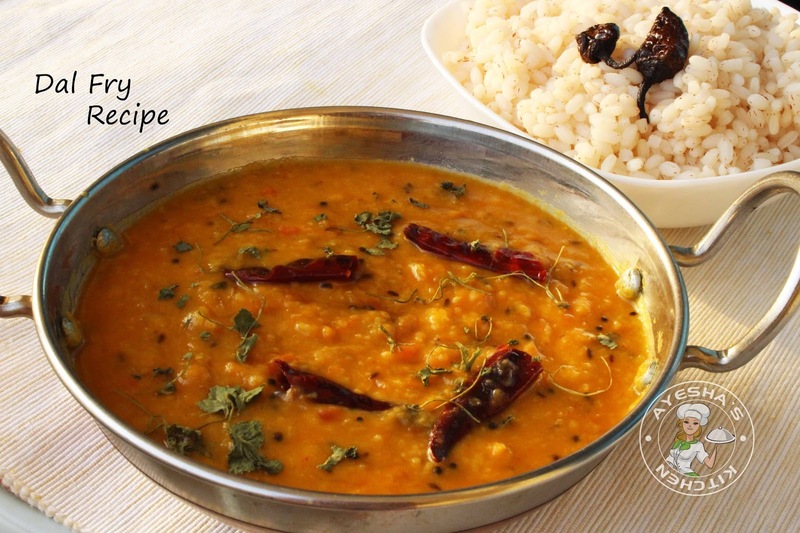 Serve hot with jeera rice or steamed rice.